About Jack’s Butane Service Inc. Owned and operated by the Rudolf Family since 1950, we offer competitive, low prices for all your propane needs. We will deliver propane to your home of business tank located in Fresno and Madera Counties, including some mountain communities. We offer propane tanks for rent or purchase. We also repair water heaters and stoves as well as heating/air-conditioning units. Ask about our FREE tank installation! Here at Jack’s Butane we pride ourselves on providing our customers with the highest quality propane and propane services at the most competitive rates. It’s what we’ve been doing for more than sixty years. 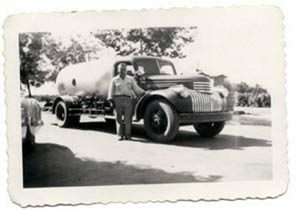 Family owned and operated, we are your local, full-service propane company!! Our employees are professionally trained to perform their duties. They have attended certified training classes and are ready to handle any propane situation you might need, from installing gas lines and tanks, repairing gas appliances and heating/cooling unites, handing your customer service questions, or delivering propane to your home or business tank. They are courteous, trustworthy employees who live in the community and want to keep our loyal customers happy!